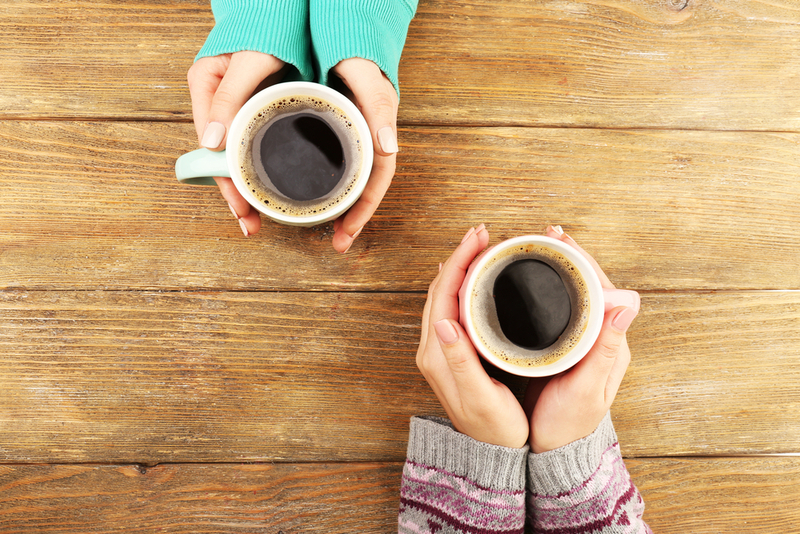 Is caffeine really so bad for you? It depends.. in my clinic I find that people who struggle with anxiety and insomnia can benefit greatly from cutting out caffeine (in addition to many other changes), even if they have been consuming it for years. For other patients, no, I don’t think caffeine is all that bad! My overall opinion is that even apart from tolerance, people have different levels of sensitivity to caffeine. Generally you are safe if you keep it to no more than 1 serving per day, before noon, and drink it along with or after breakfast to buffer its effects a bit. For my patients who are trying to get pregnant, I recommend having no more than 1 caffeinated drink per day (see this info). Many of my pregnant patients’ doctors have cleared them to have 1 coffee per day- and I think this is fine. There are a lot of good reasons to reduce or eliminate caffeine. Whether you are looking to increase your fertility (how much is actually detrimental? ), you are newly pregnant, or want to work on your anxiety and insomnia, cutting out caffeine can be beneficial. Skin issues such as acne, hives or eczema can be exacerbated by caffeinated drinks, especially if they contain lots of milk/cream or sugar. Or, maybe you just want to take a break and detox a bit. And finally, with a $5 cold-brew or latte becoming the norm around NYC, the financial savings are definitely a plus! Why do caffeine withdrawal symptoms happen? As it turns out, caffeine binds to adenosine receptors. Adenosine is a neurotransmitter whose job is to slow down body processes a bit. So, if adenosine can’t reach its receptors because caffeine is already there, things happen much faster than usual. This explains the increased alertness and energy level when you have caffeine. However tolerance starts to build because the body makes more receptors over time, explaining why after a few days, you don’t feel as much of a boost from the same amount of caffeine. You start to need more and more. Then, when your caffeine intake suddenly decreases, there is much more adenosine floating around in the body, and so things slow waaaay down- you feel sluggish, fatigued, and the blood vessels in your head actually dilate, resulting in a headache. For additional information, See this NY Times article from 1982- fascinating! So how can you decrease your intake and minimize these unpleasant symptoms simultaneously? Taper Down. To do this, it’s helpful to know how much caffeine you’re already having, and work on cutting back by about 50 mg every few days. This may involve simply tossing out the last 1/4 of your coffee, asking for a half-decaf, or substituting black tea or green tea instead of that last coffee of the day. Another method (which I used over the summer) is to get a bottle of coffee concentrate such as Grady’s – which is meant to be mixed with water. Gradually use less and less of the concentrate, and more water. At the point the coffee starts to taste too watery, start having strongly brewed black tea instead. If you brew your own hot coffee at home, Teeccino is a great option for tapering down. This is a totally caffeine free mixture of various herbs. It has a really great, satisfying flavor, and comes in grounds similar to coffee. You can mix Teeccino with coffee to gradually reduce the amount of caffeine. Teeccino’s website provides a 2 week plan to gradually taper down: click here. It’s best to start cutting down on a weekend or on vacation since the first few days are the hardest. If you aren’t required to function at a high level at work, you can deal with any withdrawal side effects much more gracefully. How to best support your body through withdrawal-Don’t expect quite as much of yourself as you generally do! If you’re cutting back on caffeine drastically, there’s no way around the fact that you’ll feel a little sluggish and headach-ey. To minimize the symptoms, make sure your blood sugar is stable throughout the day by having a large, protein rich breakfast, have frequent, small snacks throughout the day and take extra care to have regular mealtimes. Drink additional fluids, rest more, spend less time at the computer and increase exercise and time spent moving in general. Acupuncture can be a wonderful support for caffeine withdrawal symptoms. There is a series of 5 points on the ear which are routinely used for this purpose. Please contact me for more information!